The Legend of the ''Farchie". Farchia (plural: farchie) is a heavy bundle of reeds, made in the various districts of Fara Filiorum Petri in order to venerate the patron of the village. Farchie can be up to 1 mt. thick (about 3 feet) and 10 mt. long (30 feet). The reeds are held together by flexible and resistant willow branches. Traditionally, the feast was born to remember a miracle of S. Antonio during the French invasion in 1799, during which time Fara was surrounded by a big oak forest. The Holy transformed the surrounding forest trees in an army of fiery soldiers scaring off the advancing French army and saving the town. This myth seems to have absorbed a pre-existing local devotion to arboreus pagan divinities. Like the neighbouring villages the Farchie feast is linked up with ancient fertility and purification rituals. The big bonfires recall the emblematic meaning of fire among pre-christian civilties: death and rebirth in the nature cicle. All the same, these timeless feasts have the anthropological and social function of strengthening the identity between individuals and collectivity. 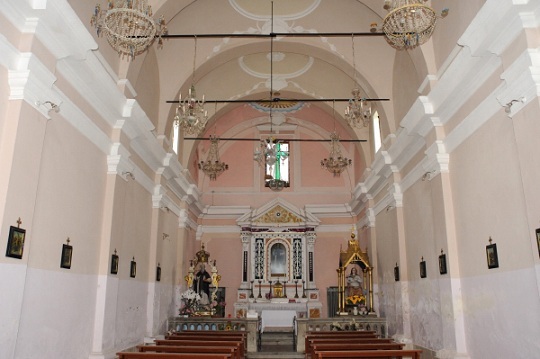 The diffusion of christianity in Fara is due to Benedictins, who ruled the religious community there, up to the 1870s. S. Antonio's veneration has been greatly supported by the Benedictins in the area: a big protec- tiveness towards animals and forests from the danger of fire and power over demons derive from benedictine traditions. However, the devotion to this saint started since an epidemy plagued the population of the area around the year 1000: Antonian monks used to look after the sick at the time. The preparation of the farchie is an excellent occasion to eat typical food and meet people. On January the 16th, farchie are brought by tractors from the several districts to the church. Usually they are followed by a procession of singing people. 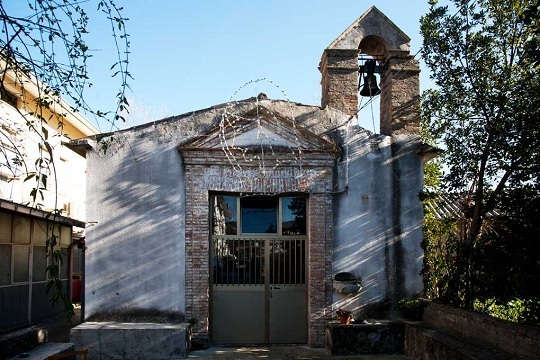 Once all the farchie are in the square in front of s. Antonio's church, they are erected in a very peculiar way, with ropes and long wooden sticks. Up to 50 years ago farchie were carried on people's back. Building and carrying farchie to the church was once a way to initiate the youth to manhood, as this work requires remarkable physical skills and experience. Food has always had a main role in the celebration: once offered as a "present" to honour s. Antonio only, it is now consumed in big quantities. Apart from the ritual bread, traditional sweets are zeppole (fried ringshaped sweets made of flour), serpentone (snake-shaped puff pastry, filled with jam, nuts or candied fruit), crispelle, cancellate, and more! Wine is another protagonist of the feast, as well as fireworks, music and dance. The festival : January 12th: Preparation of farchie starts in every district of Fara Filiorum PetriJanuary . 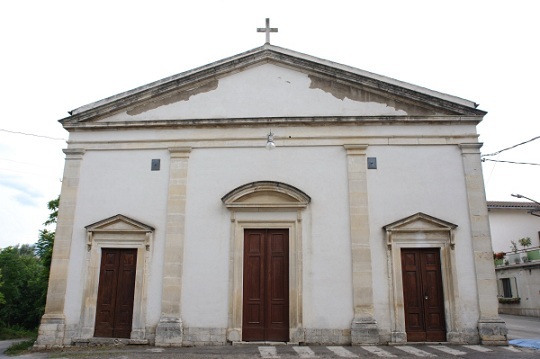 16th: At 1.30 p.m. farchie are brought to the square in front of s. Antonio's church. They are lighted at sunset.January. 17th: During the Holy Mass, fire, animals and bread are blessed. 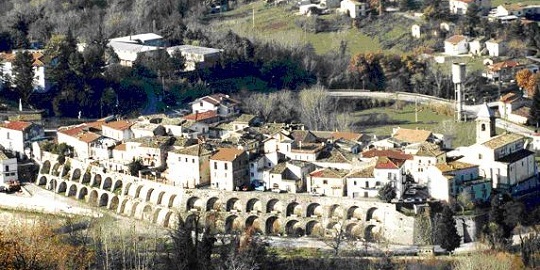 Fara Filiorum Petri is a small town of origin Longobard , located in the heart of Abruzzo, in the province of Chieti, on the edge of the Maiella National Park, surrounded by green hills and defined by the River Forum. The perched strategic position of the village immediately suggest its ancient military origin, dating back to the early Middle Ages. The first encampment was founded by the Barbarian Lombard who choose the area precisely for its position as well as for the proximity of the two rivers. The inhabited area had to be one of the first founded in the seventh century when the Lombard occupied the inner part of Abruzzo, while the Byzantine were settled along the coastline. 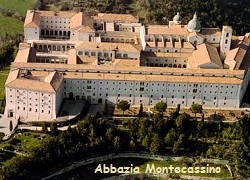 Around the year 1000 the influence of the Benedictine monks of the monastery of Monte Cassino began to be felt, and through the nearby Abbey of San Liberatore a Majella, the monks had on Fara temporal and spiritual power. 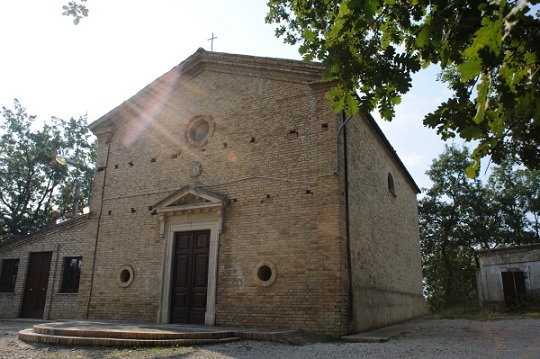 Testimony are the convent at Sant'Eufemia and the church of San Salvatore built on the ruins of a castle, both dating back to those years. In the following centuries we often find Fara involved in the feudal partitions of the time, between the Lombard and later the Norman, once again, for its strategic location. 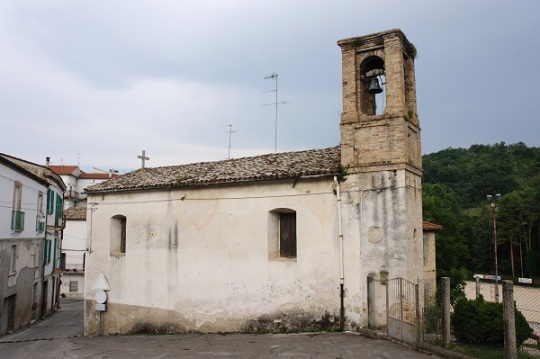 In 1300 the village came under the power of the County of Manoppello governed by the Orsini Counts. After 1500, because of the Franco-Spanish wars, the governance of Fara was removed from the Orsini family to that of the Colonna by order of the King of Spain. 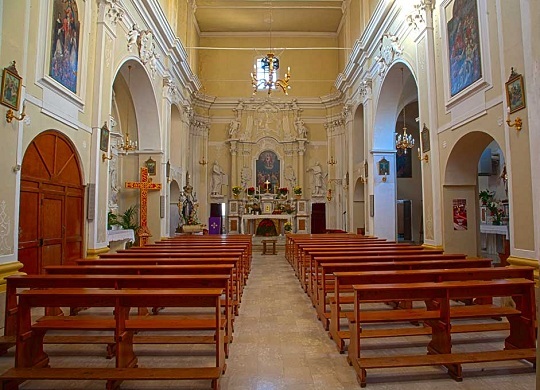 It is during this period that Fara received more than 100 relics of saints and even a splinter of the cross of Christ, relics that are still carefully preserved in the parish of St. Salvatore. This bears witness to the town as an important center of religion under the Benedictines. The name - Faria Filiorum Petri : Faria in Longboard means "nucleos". Filiorum Petri translated from Latin means " The sons of Peter" as a reference to the Benedictine monks. Because the Lombard created many ''faras" (nucleus) the name of Filiourum Petri was added in order distinguish the town from others.